Diagnosis of learning, developmental, and intellectual disabilities in the United States has come a long way since the 1960s when inroads first began with treatment, therapy and medication. Autism, a word relatively new to our culture, denotes a whole spectrum of disorders. Yet, it is the fastest-growing disability, now at 1 in every 88 births (CDC). Autism spectrum disorders alone affect 1 to 1.5 million Americans. We as a community wonder what can we do to help these children. Experts in special education, like Conney Dahn, have found a way to help our young people with disabilities find a place in their communities. For more than 30 years Conney Dahn has worked with high school and post-high school youth with disabilities. As Teacher of the Year for the State of Florida, she traveled as a speaker and authority in her field, including a trip to Washington DC where she was honored by the President. Most recently, she has been invited to set up her program for young adults with disabilities, known as Enable, for the community in Dothan, Alabama. 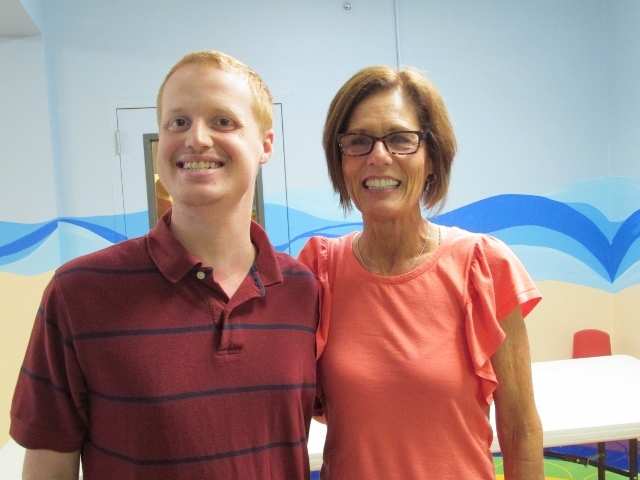 How is Dahn helping place special needs youth usefully into the community? Conney Dahn answers, “No babyfied curriculums. Adults should not be sitting around coloring. Age-appropriate programs relevant to educational needs must be utilized. Special needs youth need to have their skills regularly reinforced, otherwise they are quickly lost.” Dahn’s Enable program runs through the summer and focusses on what’s missing in the academic setting: more independence. In Jensen Beach, Florida, where Dahn is a high school teacher, the financial problems resulting from Medicaid waiver cuts affect over 700 people. What do we need? Awareness. After age 22, these youths exit high school, and receive no governmental funding unless they receive the Medicaid waiver. Without funding, they receive no job training, no community involvement, nothing! After 22 years of preparing for work, they have to go home and sit. Every community has small businesses which need help during this economic crunch. Please, open your business to support people with disabilities through the ‘Career Experience’ program in local high schools. As businesses help youth with disabilities with on-the-job training, they can help themselves. And so, I select Conney Dahn as a Hometown Hero – a woman who knows how to love, educate, and find jobs for those who are special people.